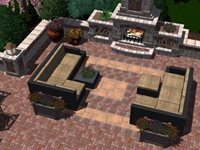 VisionScape's Virtual Property Architect is a 3D landscape design platform that allows you to sell with confidence. It will help you exceed your client's expectations by visualizing your design with 3D walkthrough videos and screenshots, as well as traditional plans and perspectives. It is up to 90% faster than Sketchup and requires no 3D or CAD experience.